Situs Hostel is an apartment flat located in Split´s city centre ,15 minutes walk from bus/train/ferry terminal and only 5 minutes walk from the main Shopping street. The hostel has 16 beds and air-conditioning in each room which is essential in the hot summer months. We are dedicated to providing all guests with a clean and friendly atmosphere and we are more than willing to help you feel at home while staying in our beautiful city. The hostel is ideal for solo travelers or friends looking to meet new people. The newly opened Situs private Apartment is 5 minutes walk from bus/train/ferry terminal and only 3 minutes walk from the main street of the city center. It is a small studio penthouse ideal for a couple or a single wanting more privacy. 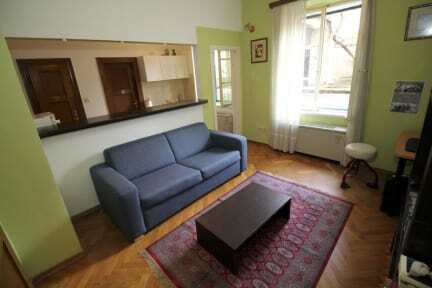 The apartment has a fully equipped kitchen, nice bathroom, queen bed, TV, Wi-Fi, Hi-f, laptop and Air-conditioning. All linens and towels included.